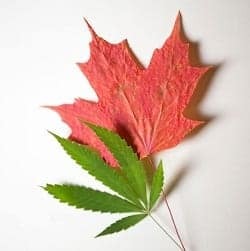 As of October 17th 2018, marijuana (cannabis sativa, cannabis indica) will be legal to be sold to or possessed by adults 18 years or older in Canada and to be consumed for recreational use. Medical marijuana has been available for sometime in Canada (and in some US states) to those with authorization from their healthcare provider, but will now be widely available to the general adult population. So why am I, as a Dietitian writing about marijuana? Because food cravings, commonly referred to as the “munchies” are one of the known side-effects of cannabis and result in people eating even when they’ve just eaten. For those who have made a decision to lose weight and keep it off, knowing how marijuana affects appetite is something that needs to be considered. As well, for those that are at risk for Type 2 Diabetes, knowing how marijuana impacts blood glucose and serum insulin levels is also important. So as a public service, this article is about the effect of marijuana and the “munchies” on blood sugar, serum insulin and weight gain. Tetrahydrocannabinol (THC) is one of the active components in marijuana that is responsible for people feeling “high” and is also responsible for “the munchies”. It’s been know for sometime that the THC in cannabis activates a cannabinoid receptor in the brain (called CB1R) which triggers an increased desire to eat but a 2015 study indicates that a group of neurons (nerve cells) called pro-opiomelanocortin (POMC) which normally produce feelings of satiety (no longer feeling hungry after eating) become activated and promote hunger under the influence of THC. As it turns out, cannabis “hijacks” the POMC neurons, resulting in them releasing hunger-stimulating chemicals rather than appetite-suppressing chemicals. This is why despite having just eaten a full meal and being satiated, ordering a pizza suddenly becomes a priority. It is thought that THC from the weed binds to mitochondria inside of cells (the “powerhouse of the cell” that generates energy) and this binding acts to switch the feelings of satiety to feelings of hunger. But how does marijuana use affect weight gain, blood sugar and insulin levels? Interestingly, epidemiological studies (studies of populations) have found lower rates of obesity and Type 2 Diabetes in those that use marijuana compared to those that never used it, suggesting that cannabinoids play a role in regulating metabolic processes. A 2013 study that analyzed data from almost 4657 adult men and women who participated in the National Health and Nutrition Examination Survey (NHANES) study from 2005 to 2010 were studied; 579 were current marijuana users and 1975 were past users. Results indicated that current marijuana use was associated with 16% lower fasting insulin levels and 17% lower insulin resistance as measured by HOMA-IR which is calculated from fasting blood glucose and fasting insulin. As for weight gain as a side-effect from the “munchies”, this study reported significant associations between marijuana use and smaller waist circumferences. A 2015 study which looked at 8478 adults 20-59 years of age who also participated in the National Health and Nutrition Examination Survey (NHANES) study from 2005 to 2010 reported that current marijuana users had lower odds of presenting with metabolic syndrome than those that never used marijuana. Current marijuana users in the 20-30 year old range were 54% less likely than those who never used marijuana to present with metabolic syndrome. Marijuana’s Possible Role in Type 2 Diabetes Treatment? The studies above indicate that fasting insulin levels were reduced in current cannabis users but not in former cannabis users or in those that never used it leads to the question as to whether THC may be of medical benefit to those already diagnosed with pre-diabetes or Type 2 Diabetes. Certainly further study is warranted. Certainly, those who are Diabetic and who will begin using marijuana now that it is legal should monitor their body’s blood sugar response, especially if they are also taking medications to lower blood sugar. Perhaps you’re curious how I can help you achieve your weight-loss and other health goals such as lowering risk factors for Type 2 Diabetes by making dietary and lifestyle changes. I provide both in person services in my Coquitlam, British Columbia office as well as via Distance Consultation (Skype, telephone). You can find out details under the Services tab above or in the Shop. If you have questions regarding getting started or would like more information, please send me a note using the Contact Me form above and I will be happy to reply as soon as I’m able to. Copyright ©2018 The LCHF-Dietitian BetterByDesign Nutrition Ltd.